Our phones help us navigate and train. They're our cameras, our lights, and our emergency link home. So why don't we use them with our bikes? The Handleband is a simple tool that brings to light the untapped potential of our smartphones. It offers a simple, elegant and universal means of uniting your smartphone with your bicycle. At CES 2013, mc10 and Reebok revealed the Checklight, a product built to help protect athletes who play football, hockey and other impact sports. Today, you can purchase one of your very own in men's, women's or children's sizes for $149.99 from Reebok's website. For your money, you get the sensor strip, a skull cap to keep it snug on your noggin and a micro-USB charger to keep it powered up. For those who've forgotten, the Checklight's a head impact indicator powered bymc10's flexible electronics technology that gives athletes and medical personnel simple, actionable information about impacts to the wearer's head. It's not a concussion detector, per se, but it does provide information about the location, number and intensity of impacts to your dome -- so it's a valuable tool that can help identify those in danger and keep them out of harm's way. Well worth $150, we'd say. 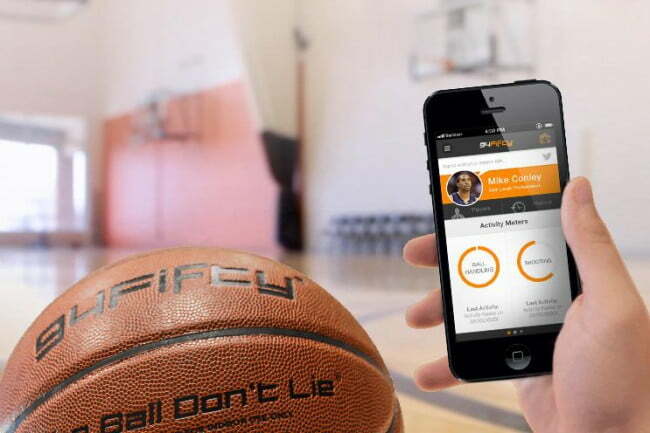 Used in conjunction with the four included training apps – including one allowing head-to-head competition against anyone, anywhere also using the technology – 94Fifty provides players instant feedback and hard data, allowing information to be processed in real time, facilitating faster improvement. The basic philosophy is simple: That which gets measured can be improved, and too many aspects of training in basketball aren’t measured. A coach can call a jump shot “too flat,” lacking the proper arc to go in consistently, but that language is imprecise. Instead, the ball will communicate the exact angle of a shot to a smart phone and tablet. If 45% is what a player needs, he’ll quickly learn what that looks and feels like coming out of his hand. 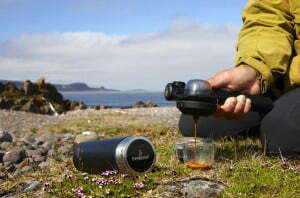 There’s something to be said for completely unplugging every so often, and even though high-tech gizmos definitely aren’t necessary for getting out and enjoying nature, we here at DT we know from experience that the right assortment of tech gear can make outdoor excursions simpler, safer, and more fun. These days more and more companies are making gear that’s designed to withstand the elements, so we’ve rounded up our favorites and put together this definitive guide to the best summer outdoor gear. Ringtool is designed to provide maximum functionality with minimal form. It's manufactured in the same hardened and tempered stainless steel Leatherman uses on its multitools so is durable and strong enough to last several lifetimes despite being virtually weightless. 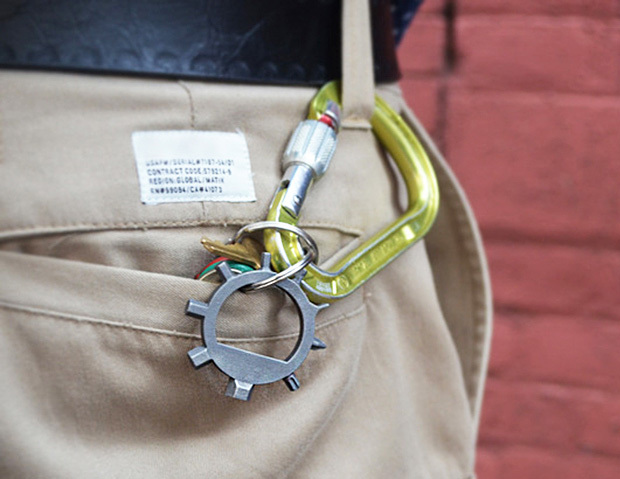 It can be kept on a keyring for bike adjustments, assembling furniture, adjusting snowboard bindings, opening that ritual end-of-the-day-beer, and other miscellaneous daily needs. It’s easy to use too, much like the turning of a door key, between the thumb and bent forefinger. To be clear, this tool is not meant to replace more serious tools but rather to be readily available in the case of emergency or spontaneous need. I am an industrial designer with several years of industry experience bringing good ideas to life. I’ve worked alongside manufacturers and engineers to take countless products to market, from with conceptual sketches to production part. In addition to experiences of my own long-distance bike touring and cycling within the city, Ringtool was the product of countless conversations and testing with cyclists, mechanics, architects, designers, and material experts. I have quotes from two foundries located in here in northeastern USA for both tooling and prices per part so all I need now is your help with the funding to be able to pull the trigger for the first batch. If this campaign is a success and you receive the tool I would love to hear your feedback and will try my best to incorporate any changes you think might make the product even better in the next version. I am deeply appreciative for your considering to support making this long time dream of mine a reality.